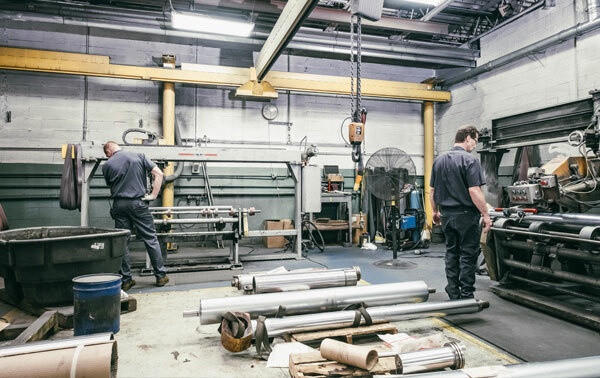 United Surface Finishing provides industrial hard chrome plating of various components, along with expert repair and remanufacturing of even the largest hydraulic cylinders. Recognized for our quality workmanship, we use engineered switch mode rectifiers, delivering high quality chrome plating that often results in a better than OEM finish. USF is also fully capable of grinding and polishing after plating to return parts to their size within specified tolerances. Cylinder rods are repaired through a process of grinding and chroming. Rods are ground or polished undersize, chrome plated oversize, and then reground and/or polished to a certain specification. We have salvaged countless hydraulic valves and pumps by returning spools and shafts to OEM specifications. When it is critical to chrome the I.D. of cylinder shells, we can hone, chrome, and finish hone. In cases where existing chrome is damaged beyond repair, we are capable of stripping chrome from the part in question, before it is refinished.